This is the public profile of Hanji Design Team, Additional information and high-resolution images are available for accredited press members, to access additional information about Hanji Design Team please login as a press member. 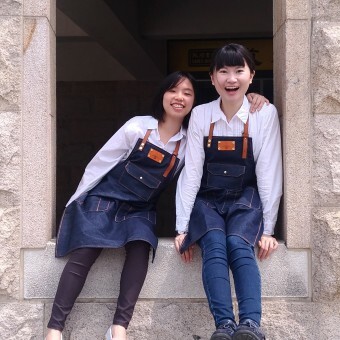 About Hanji Design Team : The Hanji Design Team has two members, Pei-Yu Chen and Yun-Hsuan Lin. This team was founded for Hanji upcycled fabric project in 2016. The team tries hard to utilize wasted clothes to make a new upcycled material. To make a more eco-friendly world, the Hanji Design Team makes effort on finding more opportunities for this new material. 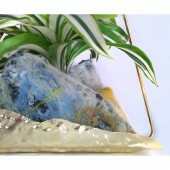 Therefore, Hanji upcycled fabric plant pot is designed as the first product to express that recycled fabric can peacefully co-exist with nature. On the other hand, the Hanji Design Team also want people to be familiar with recycling cloth not only in their products but by participating in experimental workshops. 2017, "Hanji Upcycled Fabric Project", Asia University, With other design students, Taichung/Taiwan. 2017, "Hanji Upcycled Fabric Project", Taipei World Trade Center, with other design students in Taiwan (YODEX), Taipei/Taiwan. 2017, "Shape of Nature", Taichung Huluden Culture Center, with other fabric designers in Taiwan, Taichung/Taiwan. 2017, "Recycled Fabric Planter", Seoul International Invention Fair 2017, with other inventors all over the world, Seoul/South Korea. Press Members: Request an exclusive interview with Hanji Design Team.